Meredith is honored to be understudying for Kokandy’s production of Little Fish! Previous theatre credits include: Fly By Night (Daphne) at Theo Ubique Cabaret Theatre, The Fantasticks (Luisa) and Fiddler on the Roof (Chava) at Light Opera Works, and Spring Awakening (Wendla), directed by Tony Award winner, Michael Rupert. Film: 7 Nights of Darkness, The Devil’s Toy Box. TV/Internet Commercials: Cox Communications, Miller Lite. 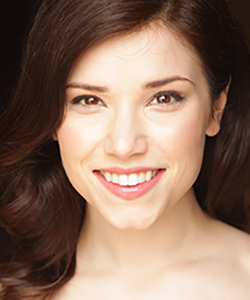 Meredith graduated with a BFA in Musical Theatre from Kent State University and is represented by Big Mouth Talent. So much love to the creative team at Kokandy, my extremely supportive friends and family, and to my amazing husband, Carl.